Preventing and Addressing Discrimination, Harassment, and Retaliation, U.Va. The mission of the University's Office for Equal Opportunity and Civil Rights (EOCR) is to ensure equal opportunity and to protect the civil rights of all University community members through proactive outreach, education, and effective response and resolution. At the University of Virginia, we are dedicated to creating a respectful, inclusive, and welcoming living, learning, and working environment for all faculty, staff, and students. Discrimination, harassment, and retaliation not only violate University policy and federal and state law but also contradict our deeply held values of diversity, inclusion, and respect. Such conduct will not be tolerated at the University. Our diverse, talented workforce is what enables us to be the best we can be – to offer top-notch teaching, research, public service, and patient care to all community members. This online course has been designed by EOCR to help University faculty and staff prevent, recognize, and effectively address discrimination, harassment, and retaliation in all its forms whenever we encounter it. Through a series of informational slides and real-life scenarios, you will learn important principles and tools to assist you in knowing how to respond if you observe, are told about, or personally experience discrimination, harassment, or retaliation. We hope that you find the training useful and informative. Thank you in advance for your valuable partnership and for all you do each day to ensure the University is a place where all people feel valued and welcomed. 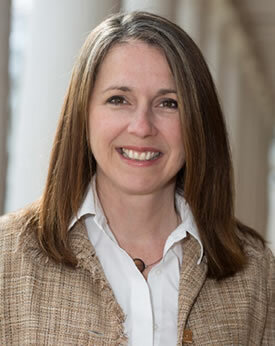 Please do not hesitate to contact me with any questions or concerns at 434-924-3200 or ccs9a@virginia.edu. For more information about EOCR’s policies, procedures, and resources, please visit our website: http://eocr.virginia.edu.